South Novato Animal Hospital in Novato is a full service veterinary hospital. It is our commitment to provide exceptional veterinary care throughout the life of your pet. Our services and facilities are designed to assist in routine preventive care for young, healthy pets; early detection and treatment of disease as your pet ages; and complete medical and surgical care as necessary during his or her lifetime. As an American Animal Hospital Association (AAHA) accredited hospital, we are measured against more than 900 of the most rigorous standards published in the veterinary industry. South Novato Animal Hospital is proud to be acknowledged as a leader in veterinary excellence, an award that only 15% of animal hospitals in the United States and Canada are awarded. South Novato Animal Hospital provides veterinary services specializing in pet surgery, pet laboratory services, spaying, neutering, pet behavior, pet dentistry, and emergency pet care in Novato, CA and its surrounding communities. Proudly Serving: Novato, Ignacio, San Rafael, Petaluma and Greenbrae, CA as well as their surrounding communities. "The staff was very professional and kind. My cat came in for treatment of internal worms. The exam revealed that although he is only 3, he has alot of tarter on this teeth and the estimate for that will be discounted if done within 30 days.They have taken care of my pets for quite some time, I am happy with the detailed information that I get regarding the health of my pets." "We love all the doctors and front desk staff . They are just the best!! We have a 7 yr old French bulldog who finds herself at the vet a few times a year for issues that come up and we couldn't be happier with the care we get from everyone at this office. We know Ruby is in the best hands when we have to bring her in and their follow-up and customer service is as awesome as their talented medical staff. We feel so lucky to have such a great/trusted vet nearby!!" "This hospital is HANDS DOWN the best around!!! My (two) boys would literally not be alive if it weren't for Dr. Dalmahn. We don't live close to this place but we choose to take the drive because of how much they show their concern for our animals. I am so thankful to have found an animal hospital that I can truly say we trust. My boys are super happy with them also!!" 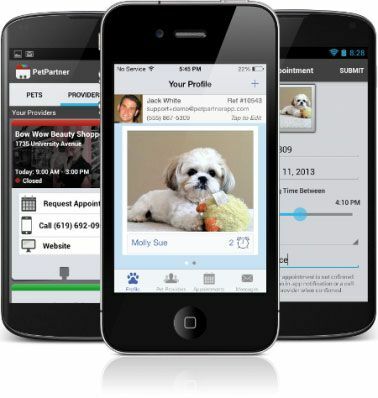 Connect With Us Using the PetDesk App! ​South Novato Animal Hospital provides veterinary services specializing in pet surgery, pet laboratory services, spaying, neutering, pet behavior, pet dentistry, and emergency pet care in Novato, CA and its surrounding communities. Meet our knowledgeable, compassionate and dedicated doctors and staff. Experience quality care solutions tailored to your pet's needs. Expect exceptional treatment with state of the art veterinary medicine.